10 Oct Should I Settle My Personal Injury Claim? Georgia residents who receive injuries due to a motor vehicle accident or due to the wrongdoing or negligence of another may find themselves involved in litigation over the injuries. 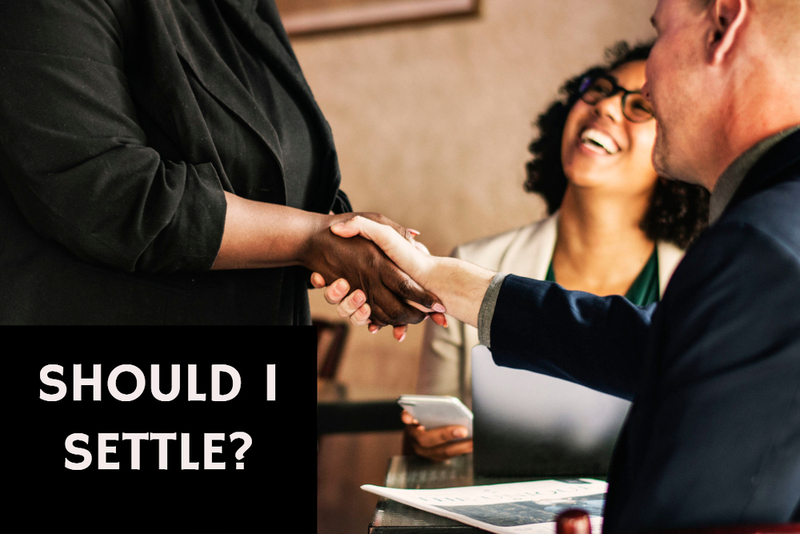 As part of the litigation process, the opposing party (an attorney representing the insurance company) will often make a settlement offer in an attempt to resolve the case without the need of an expensive and lengthy trial. ~ all circumstances have been taken into consideration. There are several factors to consider when deciding whether to settle your injury claim including the time involved, the extent of your injuries, and the costs associated with going to trial. Insurance companies do not hand out money easily. Be careful not to jump at the first offer to settle your claim and give yourself enough time to gather information and assess the extent of your injuries. We’d be happy to talk with you about your Georgia accident case and the best options for resolving your claim. Please contact AJ Law Practice for a consultation.